No fear. 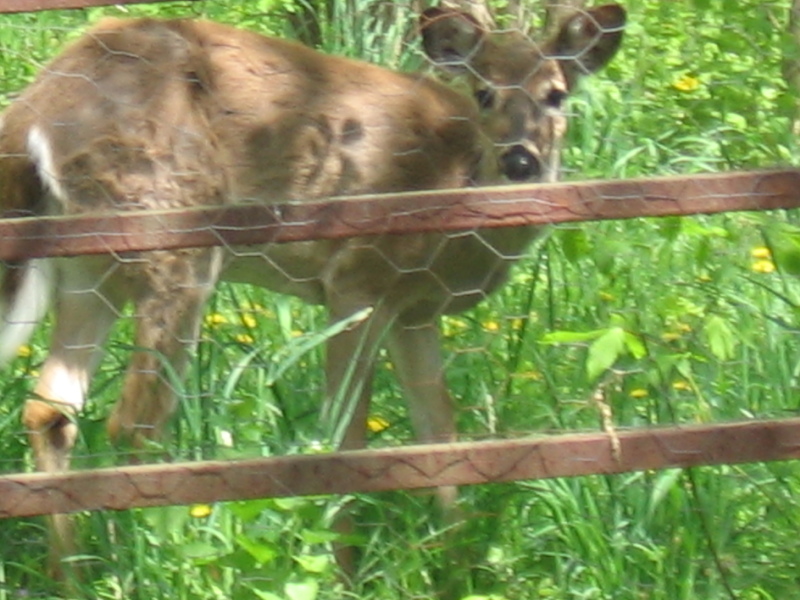 This is NOT a deer or wildlife park – I took this photo this afternoon at the gate by the barn. This girl is very curious. 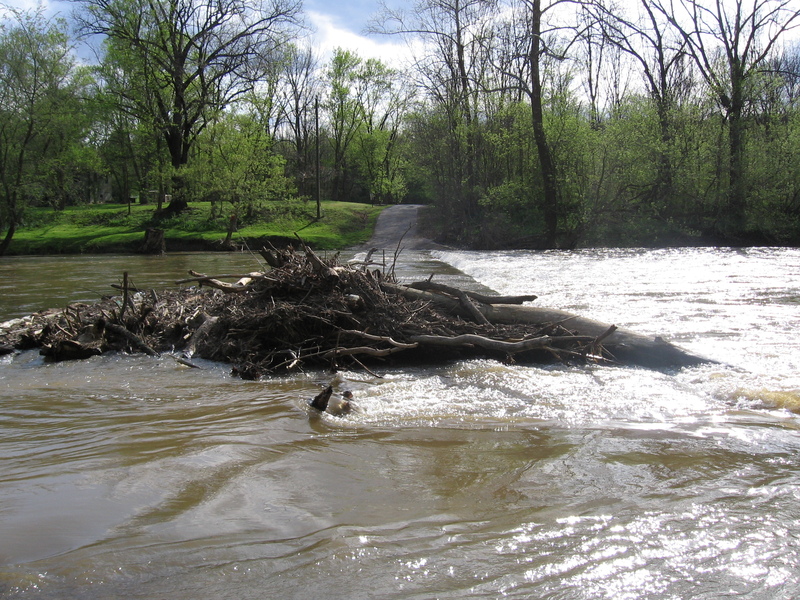 The water is receding, but cleanup on the bridge is in order before anyone can go in or out. Taken early this evening.